IPL 2019: Can RCB do an MI from 2015 after a dreadful start? आईपीएल 2019 में रॉयल चैलेंजर्स बैंगलोर का पहला मुकाबला चेन्नई सुपर किंग्स के खिलाफ होगा. 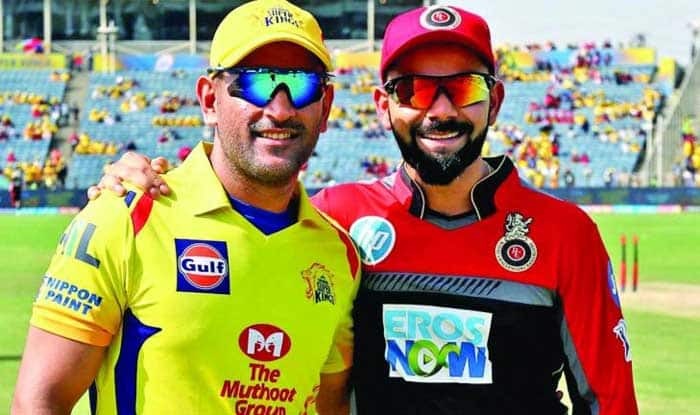 IPL 2019: With Royal Challengers Bangalore losing their fourth successive game in this edition of the Indian Premier League, questions have been raised on skipper Virat Kohli and his tactical acumen by pundits. Interestingly, Kohli has lost the last seven games that he has captained in — three ODIs against Australia and four T20s in the IPL. What makes matters worse is that he has not had former skipper M.S. Dhoni by his side in six of those seven. In stark contrast to Kohli’s fate, Dhoni and team have won all their games in the championship so far and are sitting at the top of the points table. Even more, interestingly, Dhoni showed his tactical superiority when he went into the opening game of the IPL with three spinners as Kohli misread conditions and played just one regular spinner in Yuzvendra Chahal. CSK won by 7 wickets.